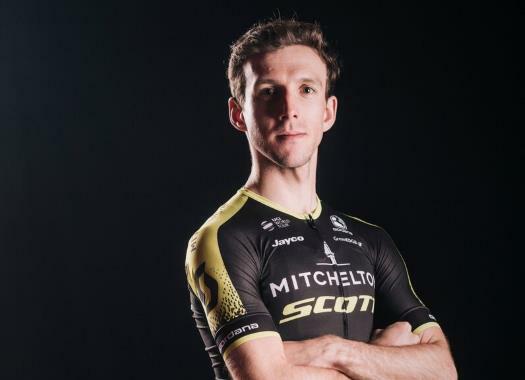 Simon Yates (Mitchelton-Scott) arrived to the end line at Lagos de Covadonga in the third position and extended his lead on the General Classification of the Vuelta a España. Thibaut Pinot was the winner of a stage that was difficult, particularly on the last climb, and Yates managed to stay at the favourites' group despite doing some attacks that were repelled by the others. "It was a very strong attack by Thibaut on the climb, he came from behind, went with speed and gained time," he commented. "I can only congratulate him. It was difficult within the chase group because there was almost zero cooperation and it was very difficult to do anything. There was a bit of a headwind so if you did gain a gap it became very hard to maintain." Yates crossed the finish line in the third position and has now a lead of 26 seconds over Alejandro Valverde and of 33 seconds over Nairo Quintana. "Nothing much really happened in the end, my legs felt good and if I could hold the same form and the same legs then I will be happy," the Briton added. "I am looking forward to the rest day now, we will prepare for the time trial and the rest of the race from there."